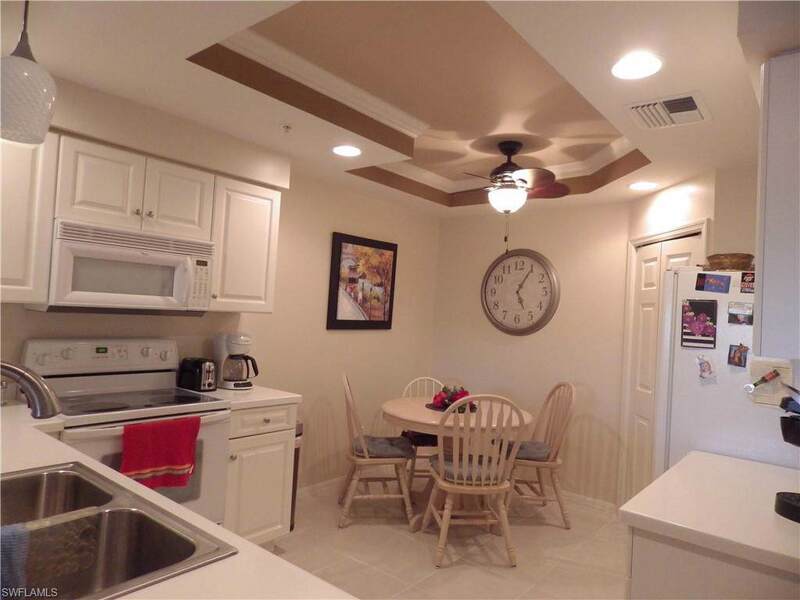 Island Cove is a modern well-maintained community with lush landscaping, clubhouse, heated pool, spa, pickle ball, shuffle board and tennis courts. This boating community has quick no bridge direct access to the river is in the heart of Cape Coral convenient to shopping, churches and restaurants. Boat docks are available for purchase. The unit is in the only building featuring a park-like yard setting with trees and walkways great for bird and wildlife watching. The unit has impact windows and doors. The front door has a retractable screen. 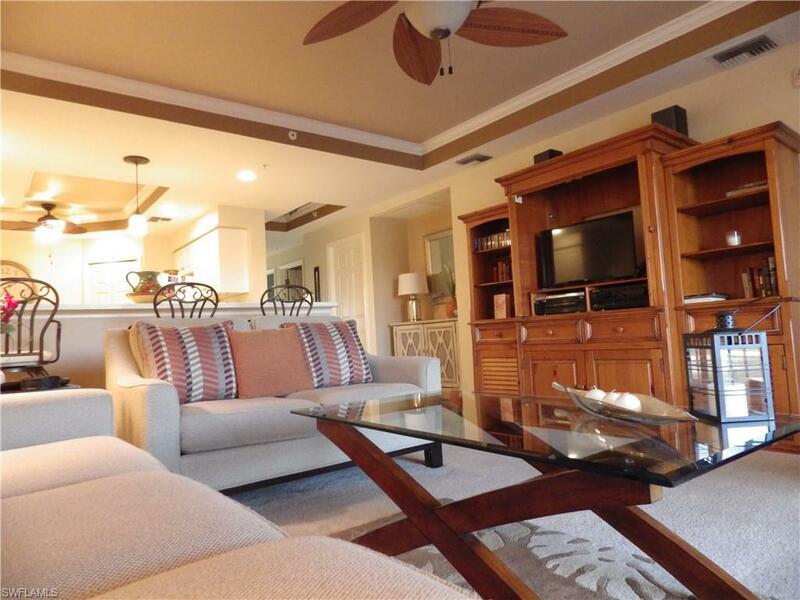 This beautiful well maintained unit has warm greens and earth tones. The turnkey open great-room floor plan has 3 bedrooms and 2 baths. High tray ceilings throughout with crown molding with indirect lighting in the entry. 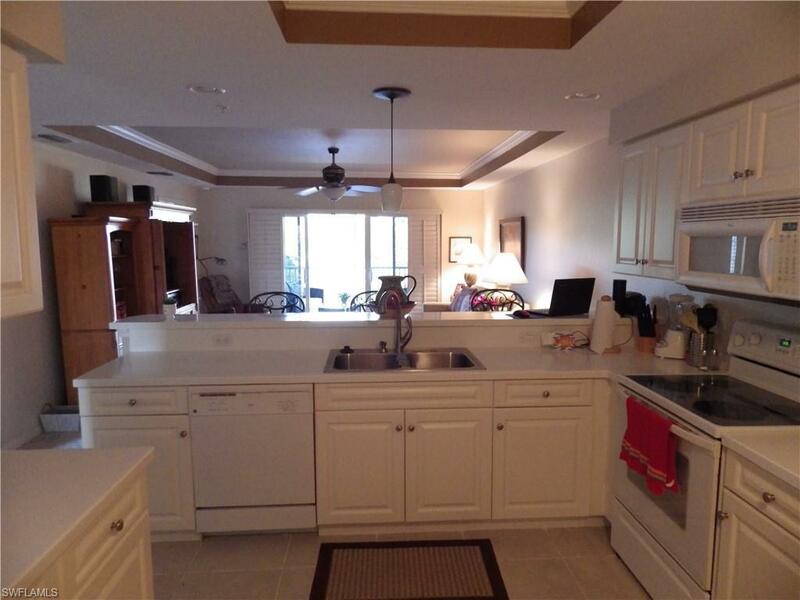 The spacious kitchen has solid surface counter tops, all appliances, and a pantry. 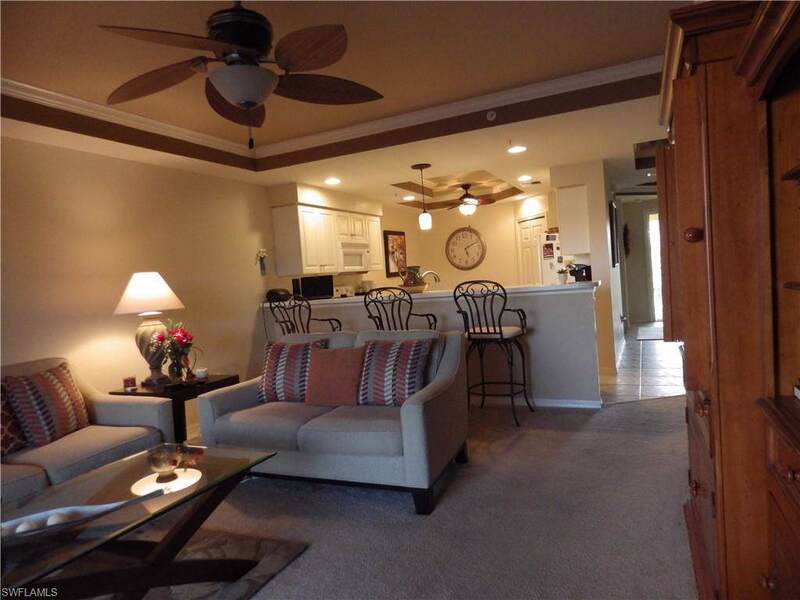 The master has access to the lanai and two walk-in closets. The spacious master bath has double sinks, walk-in shower and linen closet. The two guest bedrooms both have windows and large closets. The guest bath has a vanity and is a tub/ shower combination. The utility/laundry has a full size washer and dryer. A full home warranty is included. Listing courtesy of Tom Beezley of Rossman Realty Group Inc.